Classroom Organization Archives - Page 3 of 3 - Teaching Rocks! As all teachers, we are constantly learning and developing our knowledge. I have recently purchased a book I would like to share with you all. As the title states it is based on Middle school or Junior/Intermediate grades. What I truly enjoyed about this book is that it does not deal with instruction per se. It is everything around instruction that we as middle school teachers do or need to do. This is a great foundational book about how to succeed in this grade level if you are a starting teacher, new to the grade level or in your first few years of teaching this grade level. It provides the reader with teaching strategies in every chapter but it also helps you answer questions such as “what you are to do the first day of school, how to set up your grade book, how to discipline middle aged students and how to get their attention” (pg. 3). I was fascinated when I first found this book as these were the questions I wanted answered. I know many of us do professional development reading, but this one I feel is a true book about the How and not the What of teaching! Rick Wormeli truly catches the essence of our teaching experiences and guides us onto paths of success. It is an all-encompassing book that helps us deal with everything from classroom set up to parents. Click on the link to be able to purchase the book. I hope you enjoy it as much as I have! Let us know what you have found interesting and worthwhile with this read. The Tuesday 12: 12 Essential Supplies for Your Classroom (Each Under 50)! It in this week’s edition of The Tuesday 12, we’ll be looking at 12 essential supplies that are awesome to have in your classroom. There are so many products that are beneficial to teachers; however, these 12 items will make your lives a little bit easier and let your classrooms run just a little more smoothly. Do you want a sparkling clean blackboard? Head on over to the nearest hardware or automotive store and pick up a squeegee! 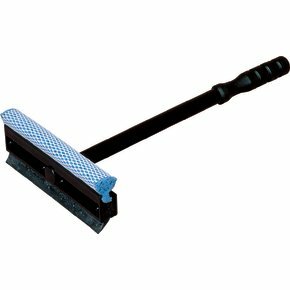 The best squeegees for this job are the ones that have a sponge on one side to scrub the board and the rubber blade on the other side to remove excess water. No messy hands, no drip marks, and boards dry super fast! I love my laminator! Although it can’t laminate large items (the largest is 9” x 14.5”), it’s great to laminate tons of small items and comes in a variety of film thicknesses that provide extra durability for those items that go through a lot of wear and tear. 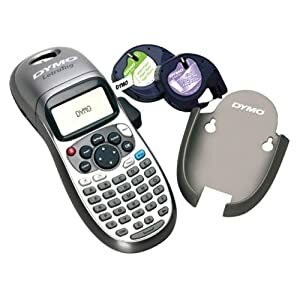 I bought my Dymo label maker at Costco because it came with a variety of tape cartridges (glossy, matte, transparent), so it was very cost efficient. If I could, I would label everything around me. 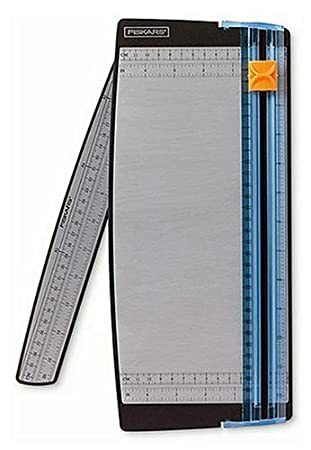 I use this Friskars paper trimmer when I do some crafting and use it on a regular basis to prepare items for my classroom. Who doesn’t love perfectly straight lines? And speaking of straight lines, I cannot live without a level in my classroom! It really comes in handy when I am putting up bulletin board items and hanging student artwork. I cannot stand to see crooked items on the wall, so my $2 level from the dollar store is a life saver! Better yet, pick up a laser level! These markers write beautifully on the blackboard and remain until they are wiped off with a wet cloth. 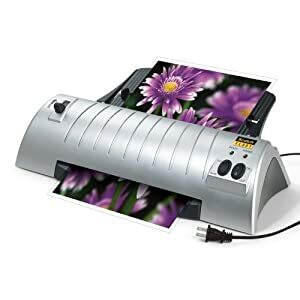 They are great for items that you want to be semi-permanent for a certain time period; for example, use them to write out the daily schedule, create a graphic organizer on the board, or keep important reminders up on the board for students. I have this organizer on my desk and it is a life saver! The middle section has space for hanging folders which I use to organize worksheets, items for each day of the week, and any other important piece of paper that lands on my desk. The top portion has a small, hanging basket to organize items, while there are four corner organizers to store markers, pens, pencils, highlighters, and scissors. Each side of the organizer provides extra storage for notebooks, papers, envelopes, and files. It is a great purchase! What a creative idea! Normally I just use envelopes to store bulletin board letters, but I really like how organized the letters are in this case. Velcro tape is great to use for areas of your classroom where you regularly rotate between a variety of materials. Personally, I use it on my classroom jobs board, since students rotate between various jobs every two weeks. Velcro would be great for words walls, daily or weekly schedules, or calendars! 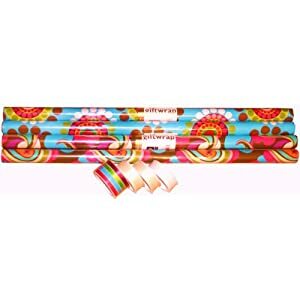 Don’t throw out those empty wrapping paper rolls! They are fantastic to store away posters and bulletin board décor. Simply roll up the item, place it inside, and label the outside of each carton (use the label maker!). 11. Curtain rod with clips (or pants hangers)! This idea came from Pinterest (love Pinterest!) and it is such a great concept! Buy a spice rack (or repurpose one that you have at home) and use the containers to organize all those little odds and ends that are useful, but always end up everywhere! Jars for rubber bands, pushpins, paperclips, the possibilities are endless! Can’t wait to use this in the classroom! (Check out the article link above for more ways to organize using a spice rack). Don’t forget to join us next week for another addition of The Tuesday 12! Disclosure: All ideas expressed are the author’s own and compensation was not provided by any company in any way. 1. Entering the class: Review with students how they are to enter the classroom, either at the beginning of each period or at the beginning of the day. Where do they place their coats, school bags, and other belongings? Do they have assigned seats or do they choose their own seat? Will you have any bell ringer work ready for them when they enter the class? 2.Missed homework: What are the repercussions for not completing homework assignments? Do you have “homework not done” slips? After how many incomplete assignments do you follow-up with parents? It is important for students to be aware of homework procedures and the importance you place on completing their homework on a regular basis. 3. Class Schedule: Do your students spend the whole day with you or are they only with you for one period? If students are with you the whole (or most of) the day, it is important for students to know the daily schedule. This can be done either by posting a large weekly schedule or having a designated area in the classroom to post each day’s daily schedule. By doing so, it is easier to transition students from one subject to the next. Check out our Day Schedule to aid during transition times! 4. How will you get student attention? Whenever there is a whole class activity or students are working with partners or in small groups, the noise level may be a bit loud in the classroom. Classroom noise is sometimes essential for learning, as this means that students are immersed in the activity and having fun! But how can the teacher get their attention to settle down and move on to the next task? Some teachers clap out a rhythm with students repeating the clap back, some flicker the lights, while others have come up with many different attention grabbers. I simply raise my hand and students know that when they see this, they are to raise their hand, look at me, stop talking, and wait for direction. For me, it’s simple and it works! 5. Washroom visits: Review with students the proper procedures regarding washroom visits, which includes how to ask for permission, appropriate times, washroom passes, and whether a buddy system is in place. 6. Absences: It is important for students to know that when they are absent from school they must catch up on any work that is missed. A great way to do this is to incorporate a “buddy” system where students pair off with a classmate and they inform one another of missed assignments when the other is absent. This FREE customizable homework tool can help with this: While You Were Absent! 7. Eating and drinking in class: Are students allowed to keep a reusable water bottle at their desks or do they ask permission to use the school water fountain? If so, when is there an appropriate time to ask for permission to use the water fountain? Are students allowed to have a small snack during class? Do you allow your students to chew gum in class? Quickly review these items as students are always eager to know about food and drinks! 8. Personal electronic devices: What is your and your school’s policy on electronic devices? Must these devices be “off” or can they be kept on silent? May students keep them in their pockets or must they be stored in a knapsack or locker? Are students even allowed to use these devices during the school day, and if so when? If not, review with students the repercussions for improperly using these electronic devices. 10. Taking care of the classroom: Remind students that it is everyone’s responsibility to take care of the classroom environment. In my class, I use classroom jobs that are rotated every two weeks. Here is another FREE resource that can help you with this: Taking Care of Our Classroom! 11. Parent Communication: Education is a partnership between students, teachers, and parents/guardians, so inform your students how parent communication will occur and for what reasons. How will you communicate with parents/guardians? Will you use newsletters, phone calls, email, or forms? Let your students know that you won’t just be communicating negative behavior,s but you will also be informing parents/guardians about their positive achievements as well. Here are two FREE forms to help you with parent/guardian communication: Parent Contact Log and Keeping Parents in the Know! 12. Classroom dismissal: What are the end of day procedures? Do you review homework, reminders, and agendas at the end of day? When is it the right time for students to begin packing up their belongings for dismissal? And, finally, how are students supposed to leave the classroom – are students to leave individually or do they line up for dismissal? We hope this list helps with your classroom management on your first day and throughout the year!